There are lots of new faces on the Red Rock / DSO crew lately. 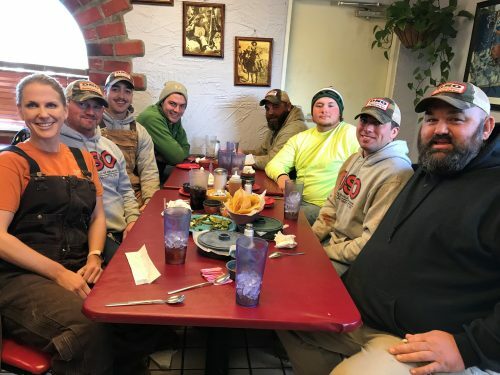 We got most of them together for a hot lunch on a cold day. Daniel, Dylan, Todd, Kristi, Brad, Mike, Bennett and Blake all enjoyed some mexican food and heat. This entry was posted on Tuesday, January 30th, 2018 and is filed under Uncategorized. You can follow any responses to this entry through RSS 2.0. You can leave a response, or trackback from your own site.